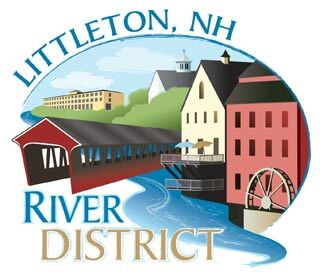 The Littleton boys baseball team came away with a 15-2 win over the Lisbon Panthers on Wednesday, April 17 to open up their season as Nick Sanborn got the start on the hill, throwing four innings while striking out eight and Zach Horne came in relief, throwing two innings and recording four strikeouts. Littleton was also led by Josh Finkle at the plate, going 3-5 on the day while recording three RBI's. The Littleton girls' softball team would fall in their season opener by a score of 9-6 to Lisbon. Madison Dumont came in to pitch early in the second inning, recording 10 strikeouts but walking eight. Lisbon would go hit-less on the day, scoring all their runs off walks and errors to pick up the win. 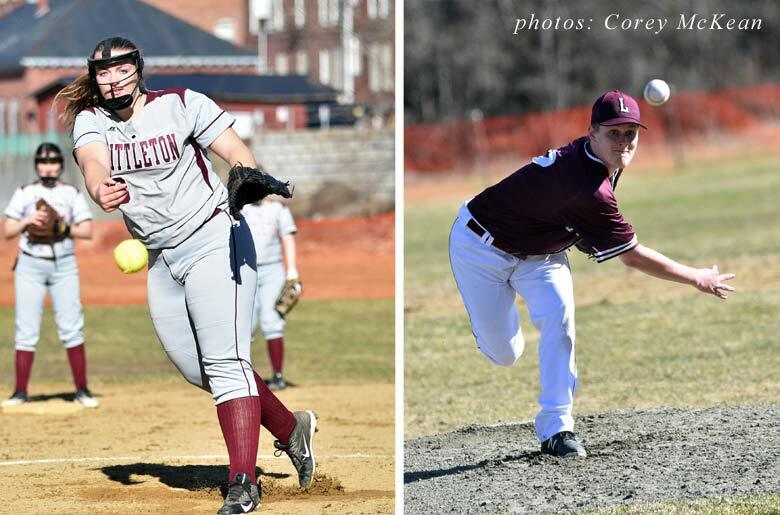 Both Littleton baseball and softball teams will play again on Monday, April 22 as they host Pittsburg-Canaan. Game time is posted for 4 p.m.
Left: Madisen Dumont threw a solid game for Littleton on Wednesday, recording 10 strikeouts on the day, but it wouldn't be enough to lift the Crusaders over the Panthers. Right: Littleton's Nick Sanborn hurls a pitch on Wednesday as he picked up the season opening win for the Crusaders.